Any home regardless of the size requires space for storage. Whether it be in the kitchen, entrance hall, bathroom or even the bedroom, adequate storage is a must-have. Smaller homes however very often lack space for creative storage, but these 13 stylish closet ideas are sure to make your home look amazing and organised from top to bottom. Perhaps you will find some inspiration to make your closet sensational without any major changes to the rest of your home. If you've got the set up, incorporating the closet into the actual bed/bunk beds is an excellent choice. As you can see here, with the right consideration to design and space you can achieve extremely stylish results. 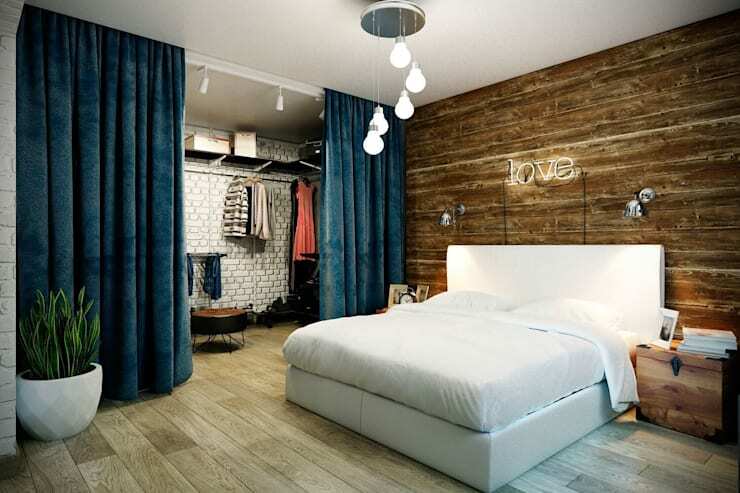 The first example of a stylish closet is a great idea for those that have a small bedroom. 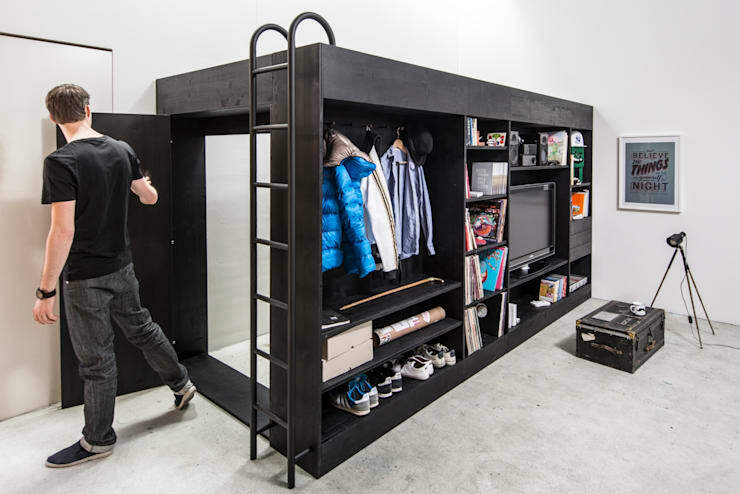 It’s a modern take on loft living with a bed designed above a closet and a media centre integrated into the closet as well… talk about space saving! This is a great option for students or young professionals that are living in an environment with very little space. Just because your closet space is small, doesn’t mean that there is no available solution for your storage problems. 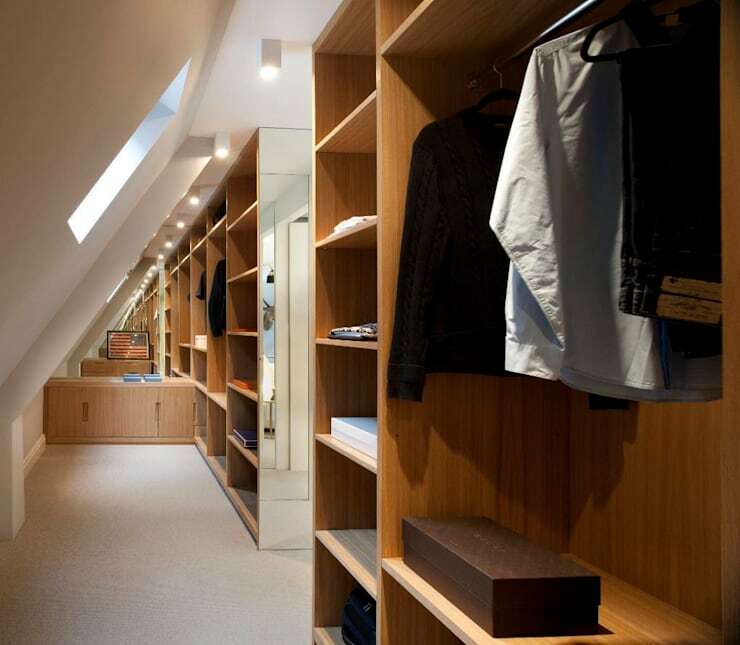 A custom made closet is sure to create a great place to store your goods in even the tiniest or oddly shaped places. These wooden cabinets are perfect. but contact a professional joiner to make the most of the options available to you. 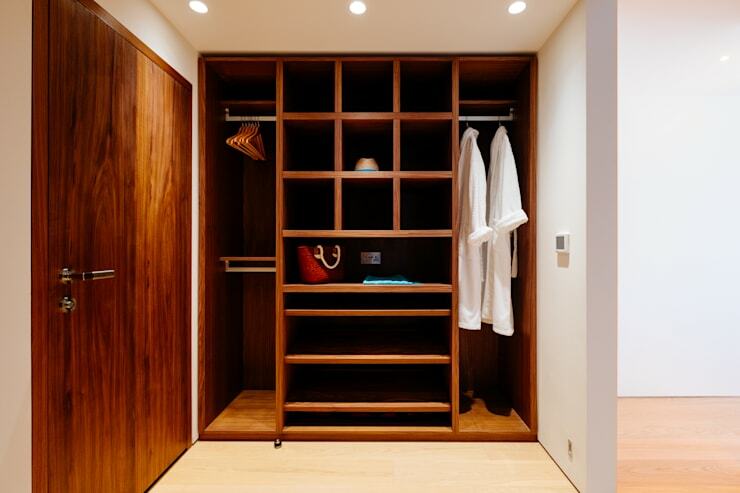 This is another example of bespoke bedroom closet that fits the needs of the home owner perfectly. Compartments are a fantastic way to organise items of clothing in terms of practicality, and with a display option as well, you will never have a problem locating your clothing again. Have you considered adding closet space to your spacious bathroom? This designs sees each space perfectly organised with enough storage for clothing, the sink and closet or in one space, while the bath and toilet are located in another section. Get dressed in front of your mirror and never have to run in and out of your bedroom and bathroom again. It is absolutely elegant and sophisticated. Integrating a closet into a bedroom doesn’t have be a daunting task, perhaps consider an old fashion classic, such as this vibrant and chic curtain to separate the closet from the bedroom. It’s fun and functional too. 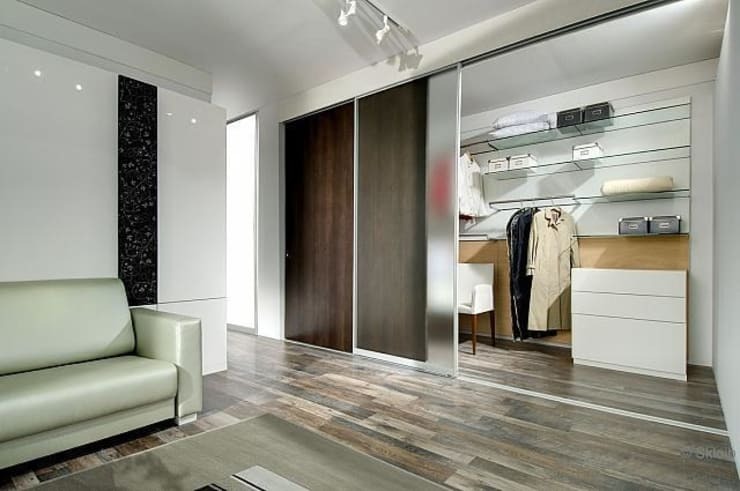 A modern way of creating a stylish closet is by separating a walk-in closet space with glass instead of doors or curtains, this creates an illusion that the bedroom space is larger, while also putting your clothes on display, almost like a high-end boutique. Another fantastic way of storing your clothing is by having ample rails for hangers. There can never be enough hangers in a closet, but planning the space is of utmost importance allowing the clothes to breathe. A dressing room closet is every girls dream come true, who wouldn’t want to enjoy the beauty of having their clothing perfectly displayed and organised in a colour coordinated manner? A dressing room is also a great way to maintain privacy when getting dressed and is an elegant luxurious addition to any home. One of the most classic options for a closet is one that comprises of both drawers and shelves. This is fantastic way to keep a closet organised, with drawers in multiple sizes to suit different clothing items. Store everything from lingerie to bulky coats in fashionable style with a designer closet such as this. 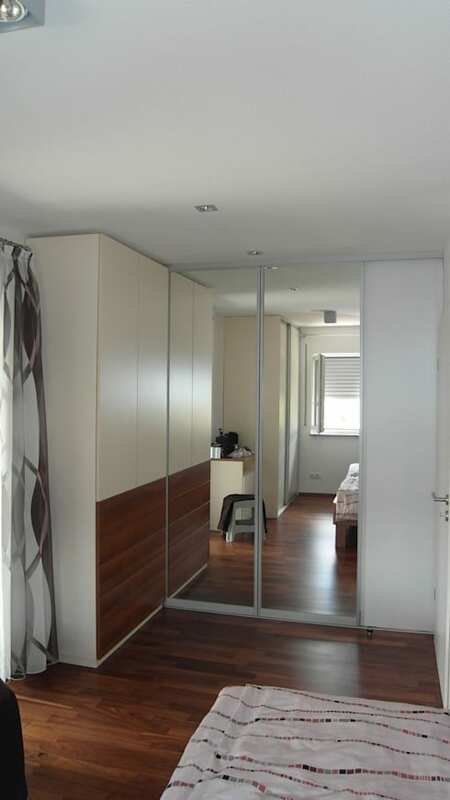 Sliding doors are a great way to separate the bedroom and dressing room closet area without taking up any more space. 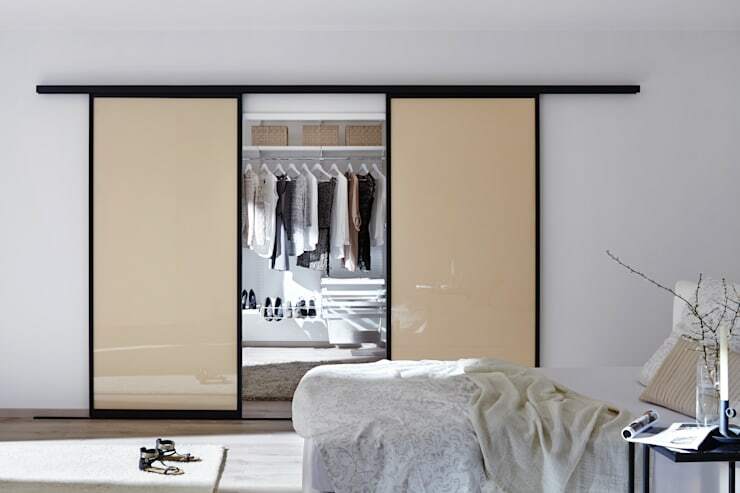 These doors are available in a variety of materials and styles and could add a chic designer finish to the bedroom. A matte or opaque design adds a luxurious effect that is simply gorgeous. An open dressing room has no doors and offers a sophisticated and stylish freedom of movement between the bedroom area and the closet. 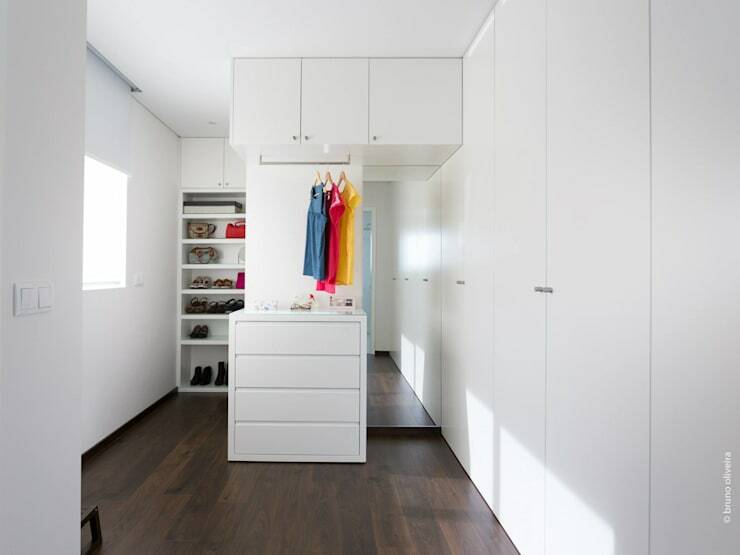 This style can also have great storage and colour potential, with modernity and flexible design creating a practical and usable closet design. Attics are a great closet space, however they come with sloping ceilings that are not always idea. 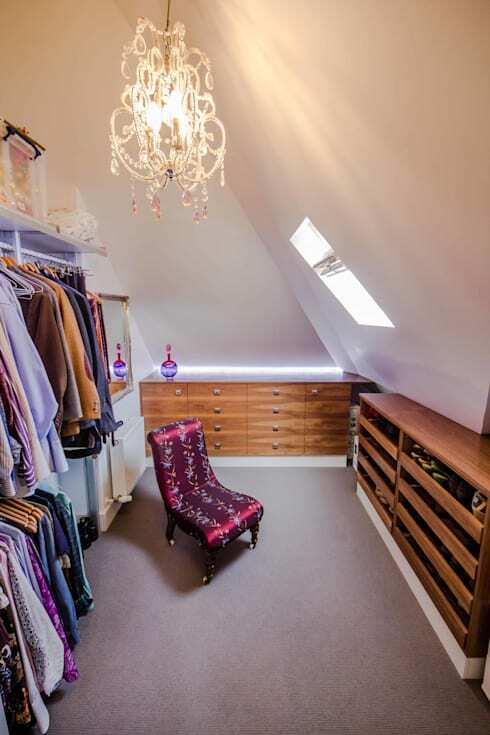 The space is often unused so when considering extra storage, the attic can be a fantastic choice. 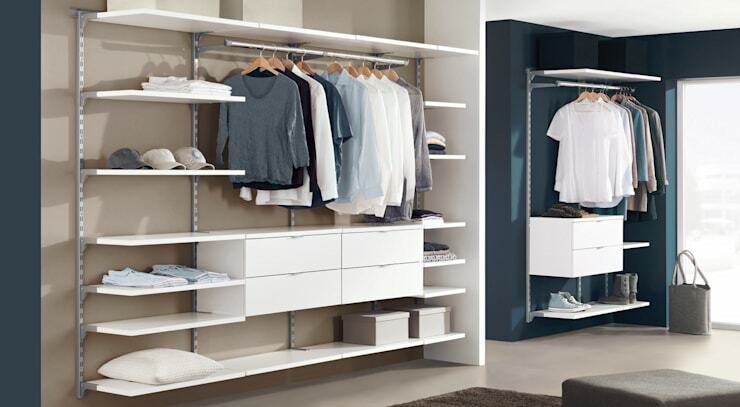 Why now consider a full dressing room and maximise storage by adding drawers and shoe shelves? No closet, regardless of the size will be complete without a mirror. This is a necessity to see how coordinated an ensemble looks, a large full-length mirror is ideal, but if space doesn’t allow for that, then a smaller mirror would be a second choice or enhance space by replacing cupboard doors with mirrors. Do you want A creative closet revamp? Which closet would suit your home?